Looking to add a bit of sweet and nutty flavor to a salad? Using Allisons’ Apiaries zesty-sweet Florida orange blossom honey or orange blossom blackberry honey with this salad dressing recipe will make an otherwise dull salad into something you’ll crave! In a small bowl, whisk together sugar, olive oil, honey, vinegar and lemon juice. Taste vinaigrette for seasoning and adjust with salt and pepper. 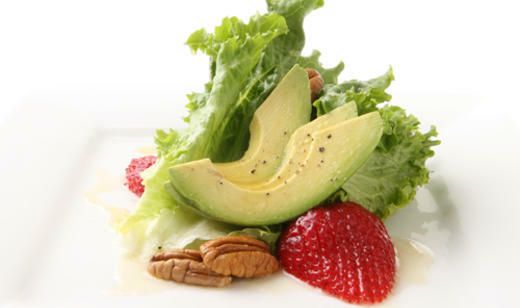 Arrange the salad greens in a serving bowl or on individual plates and add slices of avocado and strawberries on top. Lightly drizzle dressing to taste and then top with toasted pecans. Serve as soon as salad is complete.